Nine million Bisazza mosaic tiles decorate the dome and foyer of La Seine Musicale auditorium recently opened in Paris, designed by architects Shigeru Ban and Jean de Gastines. 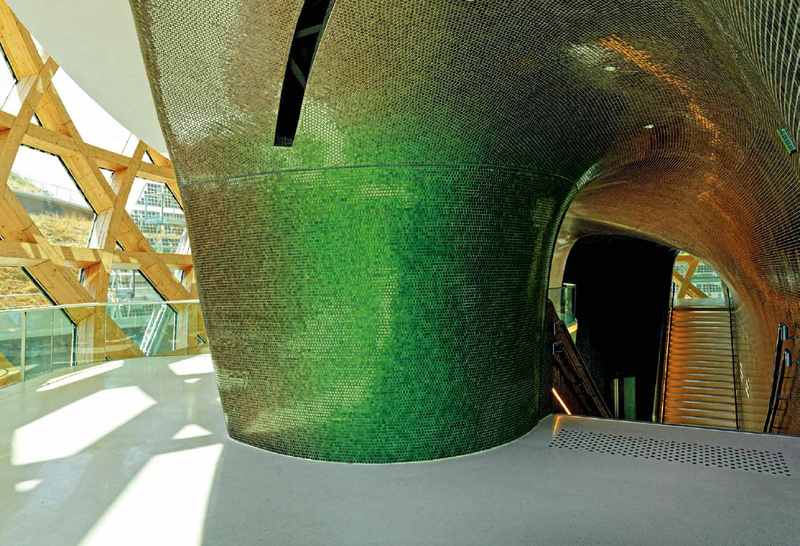 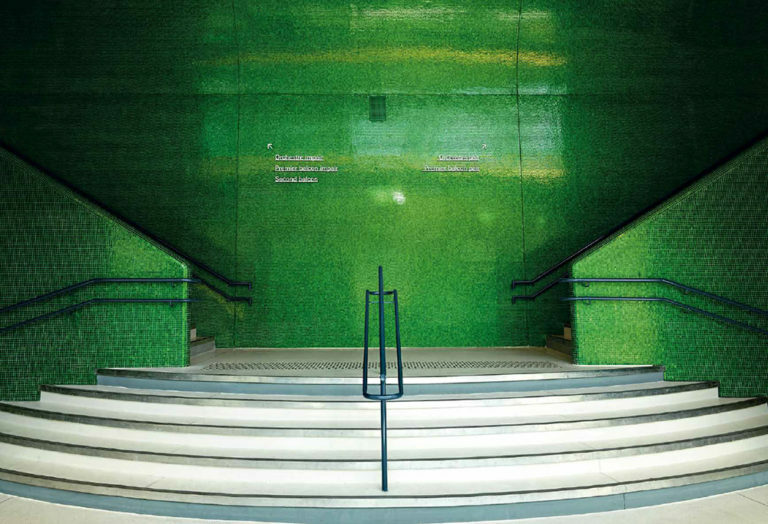 Inspired by the wings of Japanese beetles, the BISAZZA mosaic, produced specifically for the new cultural centre, has an iridescent surface that changes from red to green depending on the angle of the light. 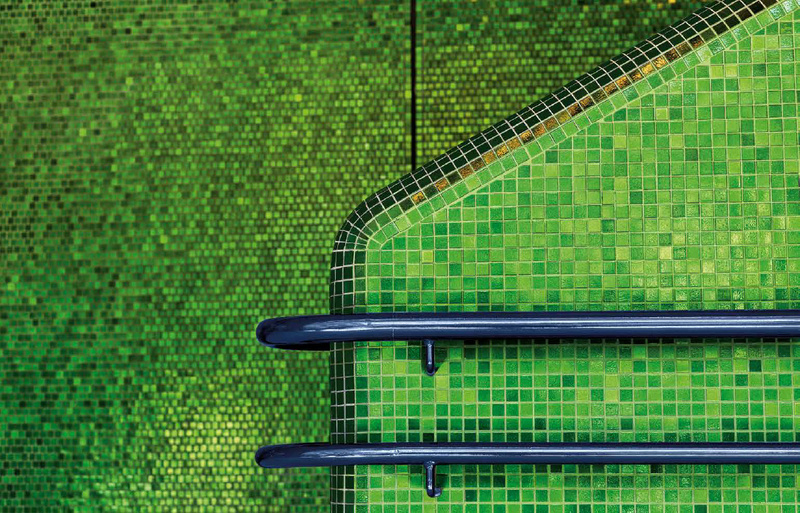 Nearly 9 million tiles are spread over a surface area of ​​more than 4,000 square meters. 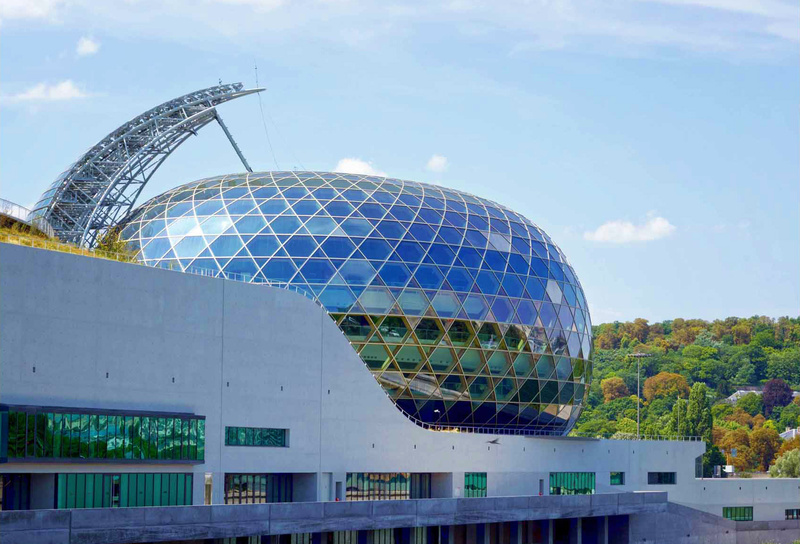 Located on Seguin Island in the western suburbs of Paris, the striking 4,000 seat, multi-purpose hall is surrounded by an enormous, triangular solar panel ‘sail’ that follows the path of the sun, providing renewable power to the complex.